As the name implies, this is a two-screen cinema and live arts space situated in the leafy environs of Crouch End. Voted London’s best cinema by Time Out readers in 2014, this two-screen independent venue in a former Salvation Army Hall opened its doors in spring 2014 and quickly became a favourite with locals from Crouch End and the surrounding area. 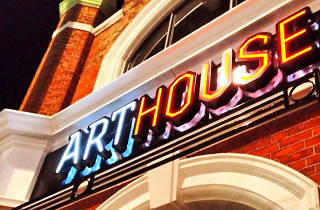 The ArtHouse prides itself on being not just a cinema but also a venue offering music, comedy and theatre. Its programme leans towards independent and foreign movies, while the foyer area offers a welcoming bar and café serving an attractive selection of food and drink. Time Out was proud to see copies of its reviews blown up large and stuck on walls for customers to read last time we popped in. This is a wonderful cinema - a fantastic programme of films you have heard of and others that you want to try out because you trust them to select well. They host festivals (eg London Labour film festival) and against all the odds remain independent and pay all their staff the London Living Wage. They couldn't deserve the boost of being recognised for this more at a time when they have had huge obstacles to contend with, with a building site next door putting paid to daytime shows for a long period and unpleasant tactics of bigger chain cinemas trying to push them out. Friendly independent cinema with lots of additions to support listings such as meet the director and actors for Q&As. A truly independent cinema with a great selection of films, as well as some brilliant events with Q&As. I love that they source so much of their refreshments locally and support independent businesses. Plus they actually pay their staff the London Living Wage, which other so-called "independent" chains that are actually owned by huge companies fail to do. This is what real cinema is about - genuinely supportive of talent, art, community and culture. feel like at home. The best in North london, friendly staff. I voted for them last year with La Gioconda in Hornsey and I will do even this year. As well as showing great films it is a community orientated venue. It caters for all ages & the events will appeal to so many people. I always make a point of going when I come to crouch end . Most of my family live here. Plus they do great treats in the cafe & the seats are comfortable . Holds fantastic film quizzes, screenings of films you might have missed and offers an antidote to the PictureHouse limited showcase of independent cinema. Great coffee too! So many great events here. And lovely custard tarts! Great venue, great bar, great atmosphere, just great! Small, but not too small; great films; great Portuguese tarts (cakes! ); great local ice cream & friendly atmosphere. Well-programmed, beautifully run local cinema, with a marvellous atmosphere, a very pleasant bar and great staff. Great friendly truly independent venue. Down to earth, humble cinema. I love independent businesses and now that theres a big corp. cinema down the road you can really see the strength of that handcrafted experience here. Staff are knowledgeable and recommend me films all the time, you can come to the ArtHouse and see something you never would have otherwise! Indie films often slip through the net, but not here! Coffee is great too and its a nice workspace upstairs with great film soundtracks playing in the background! Fantastic art house, great ambience. Perfect place for film discussions, events and wonderful films: great selection, range and choices. Highly recommended. It has an authentic feel of local business which is extended by the friendly staff. Great programme of films and live events and lovely friendly staff. I support truly independent cinemas and venues that pay the London Living Wage, so ArtHouse fits the bill. A charming cinema with friendly staff and great atmosphere. They are also a London Living wage employer - points for that! Love this place. It shows all the films I want to see, plus those that I'm so glad they introduced me to. The Q&A sessions have such great guest speakers: world famous directors, plus those starting out, actors, reviewers, screenwiters and more. The staff are very friendly and always interested in having a chat about films. And there's more too - from live music and comedy, to live screenings, art exhibitions, film quizzes. Or just a place to sit and chat over a coffee or a glass of wine. AND they've just put new comfy seats in. Great membership offers too - so glad I snapped up a membership as soon as it opened. Bringing the best of cinema to my area with a truly local flavour - if only the seats were more comfortable! Great local cinema putting up great movies, often adding the opportunity to talk to those that made them! Fab local Indie cinema, cafe and general hangout. Lovely staff. Nice wines. Other live events too. Great venue. This is a fantastic venue, a great addition to Crouch End. Particularly enjoyed the Edinburgh previews last summer. lovely independent cinema , great staff . Lovely touches such as putting cushions on the seats. The ArtHouse has made a real difference to the atmosphere of Crouch End. It is a friendly venue with a varied programme of films, events etc. As well as showing the latest films, it has regular LGBT screenings, political films and regular live screenings from the National Theatre, Royal Opera House etc. I love it! It's great having such a lovely cinema so close by, offering the best films around in quite cosy screens that almost feel like part of your own home. I like the choice of films past as well as present. Plus the bar/cafe area is a good place to meet for a coffee or glass of something even if not watching a film. A fantastic cinema with a great cafe and cool programme. A gem that I treasure already. I can not praise this place enough. It's exactly how a local, small café - even though it's more than that - should be. It has a very distinct character and the atmosphere is always warm and cosy. Right before a screening, it almost transforms into this buzzing, wine bar-like place and the sight of people inside and outside, makes it really hard to resist joining them. What it might lack in screen size or sound, it more than makes up with its selection of films, mainstream and not, documentaries and National Theatre Live screenings. The small attic upstairs is the perfect place for reading and the backyard, especially in the summer, is probably my favourite place in London. Definitely highly recommended. This category is unfair all venues are terrific for different reasons. ArtHouse gets to the top of my list because it's relatively new and due to its community inclusive ethos. A local historian produced a record over the years of the local area and what people were doing. ArtHouse screened it but it's not just about local interests ArtHouse links with great plays at the National Theatre and other establishments. It's versatility makes this a very interesting venue. I love this place. A marvellous resource. Great films, babes in arms cinema sessions regularly, friendly staff! Great to have a local cinema and one which shows such interesting programmes. Cafe's nice too. My favourite cinema in London. Independent cinemas are the life blood of a quality filmgoing experience and Crouch End Arthouse is one of the best. Excellent service, reasonable ticket prices, intimate and comfortable seating (with extra cushions if you need it!) and a great selection of nibbles and drinks to accompany the film! It's actually got two screens! Great local cinema. My favourite cinema because of the beautiful setting, great bar and amazing Q&A events. Lovely. It has 2 screens as far as I know...? Best indie cinema in N London! Such an amazing place to have access to. Great choice of films, lovely cafe/bar etc. 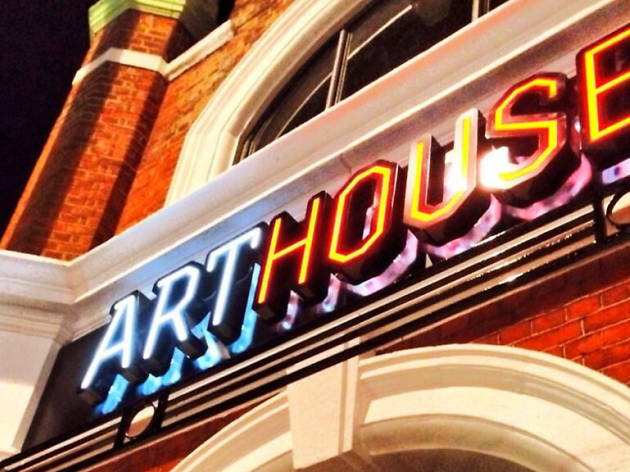 A very welcome cultural addition alongside Crouch End's endless trendy cafés and coffee shops (although - inevitably - the foyer turns out to be a trendy café), ArtHouse is a great little two-screen art cinema. The film selection caters well for fans of world and independent cinema, although some mainstream releases are shown as well. There are also screenings of live events, opera etc, alongside children's films and parent-and-baby showings if that's your thing. Decent cake too.